Starting with small scale pilots or national deployment? Several countries used a deployment strategy beginning with small-scale pilots in selected locations that have subsequently been scaled-up. This strategy has been found effective. Feedback was collected from the pilot through an iterative process to prepare for an expansion to larger entities such as a group of provinces. Following the evaluation of this segment and readjustment, countries can either proceed with full deployment to the remaining sites or continue with a spiral deployment of, for example, three districts added every three months. This phasing model allows for some reuse of resources in the new segments, such as managerial, supervisory and training resources, as well as use of the experience gathered in the first segments to evaluate and readjust. The same technical team can conduct the training and device placement in refrigerators in a number of assigned locations during the first phase, then perform the same training and placement in another group of locations during the following phase. This team will have gained experience in their first assignment that additional districts can benefit from. Although full-scale, nationwide deployment from the very beginning provides the advantages of bulk ordering and bulk dispatching, for big countries, the organizing process at this scale is highly labor and resource intensive. It is crucial that the budget and funds for the deployment have been mobilized by the time the devices arrive in the country so that distribution and activation can occur immediately. If a country does not yet have an up-to-date equipment inventory database, the distribution of the 30DTR's can be used to establish an up-to-date equipment inventory. 30 DTRs are time-expiring devices and as such require specific arrival and stock control procedures. The devices should be recorded in inventory with their maximum date of utilisation and the date of activation, for replacement planning. All devices in a shipment may or may not have the same manufacturing date. If not, the devices should be managed using the "First In, First Out" (FIFO) methodology; devices with the earliest manufacturing date should be used first. 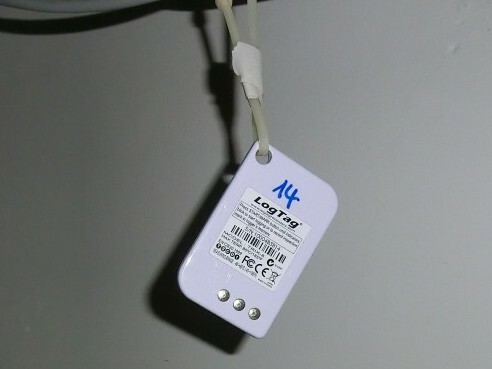 As part of the equipment inventory [or alternate system], each device should be linked to the fridge it is placed into (by its serial number) and each fridge is linked to the facility identifier. It can also be beneficial to write the activation date at the back of the device. The linkage of the device to a specific location and to a specific fridge is important for the interpretation of the data. If a fridge has many heat alarms during one month, it might not necessarily mean fridge failure, it could also highlight power issues in the area. Analysis of the temperature data from other fridges at the same location can provide information for a correct diagnosis.